From gourmet treats to doggy day spas, pet parents often go to great lengths to ensure their four-legged companions get nothing but the best. For Millennial pet owners, purchasing a home is just another opportunity to make sure Fido gets the very best. A third of Millennials who purchased their first home (33%) said the desire to have a better space or yard for a dog influenced their decision to purchase their first home, according to a new survey commissioned by SunTrust Mortgage. "For those with dogs, renting can be more expensive and a hassle; home ownership takes some of the stress off by providing a better living situation,” said Dorinda Smith, CEO of SunTrust Mortgage. 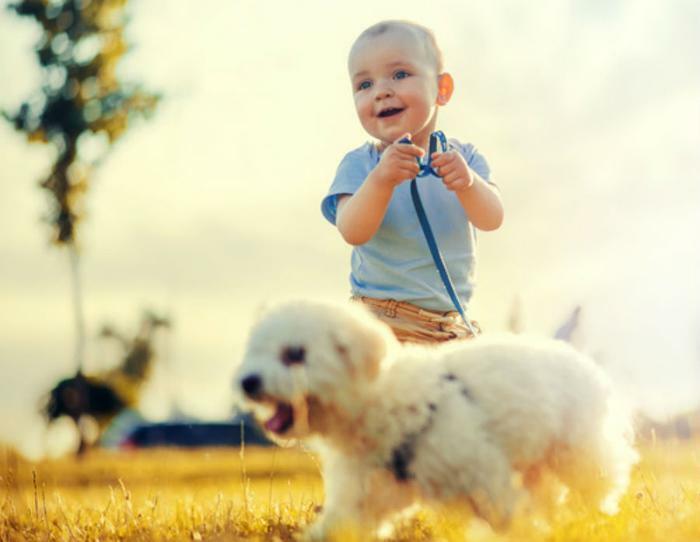 But while fenced in backyards tend to rank high on the list of desired home features among pet owners, ample outdoor space isn't all pet parents should seek out in a potential home. Pet-resistant flooring. Your pet will likely be skittering across the floors in your home for years to come, so consider looking for floors that won’t be easily damaged by claws. Look for pet-resistant flooring material such as concrete or porcelain tile. The Animal Behavior College also recommends stone, vinyl, laminate or cork. Designated space for pet supplies. Cat owners should look for the presence of feline-friendly spaces -- an odor-isolating area for the litter box or a good place to put a cat tree or shelves, for example. Dog owners should check to see if there are ideal places to house toys, food, and beds. Entertaining outside views. If your cat enjoys birdwatching, look for a home with wide windowsills that also doubles as a place to sunbathe. Dogs may also enjoy a window with a view of the outside. Space for bathing. Dog-owning house hunters may want to look for a an outdoor shower, a laundry room with an industrial sink, or a second bathroom that can double as a built-in dog wash.
A walkable neighborhood. Envision yourself walking your pup down the streets of your new neighborhood. Think about whether sidewalks, nearby parks, or dog waste stations are important to you. Additionally, try to get a feel for how friendly other animals in the neighborhood are.